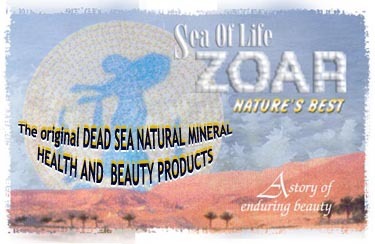 ZOAR Company of Dead Sea natural products was established in 1996. It is specialized in producing natural cosmetic products which components are extracted from the Dead Sea. These products help in curing dermatological problems and our best products are the salts and the mud of the Dead Sea, scented soap, different cosmetic products for hair, skin, face, and body, and special products for feet. Our company seeks, pays attention, and is always keen to develop its products as it applies the management system of the International Standards Organization (ISO 9001:2000) in order to produce high quality products that meet the international and local specifications and standards. The company was named after the city of “Zoar” which was severally mentioned in the Holy Bible (the Genesis19: 1-29). It is the city to which Prophet Lot had fled when God sent down a rain of fire and sulphur on the city of Sodom and Gamora. God ordered Prophet Lot to take his wife and his two daughters to a remote mountain so they would not die. Prophet Lot prayed to God not to destroy the city of Zoar so he and his family can resort to instead of the mountain. God responded to his request and blessed the city of Zoar. According to the geographical studies Zoar is a land located in the East bank of the Dead Sea in the region of Moab at the borders of “Nabataea”. It is an Arab Kingdom and Petra is its capital. It is more likely that Zoar is a small village located in Ghor Safi at the southern eastern side of the Dead Sea. 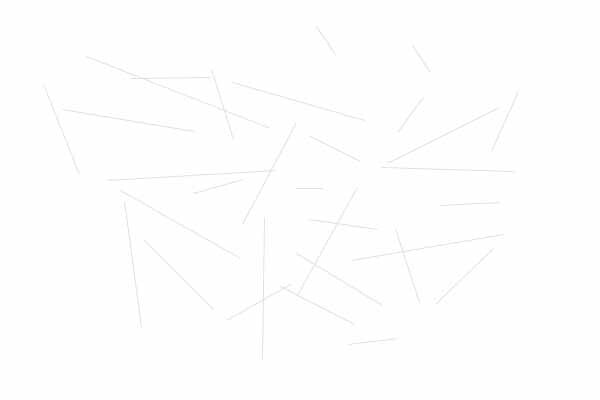 <> Our Vision: We aim to be a unique, well-known trade mark internationally in the field of manufacturing and developing natural beauty and skin care products which are based on the salts and mud of the Dead Sea and we aim to be a consultant an authority expert specialized in that Field. <> Our Mission: Is to produce unique natural products, which meet the customers’ needs and requirements, in an innovative and creative way. This in turn will contribute in the economic growth and the social welfare of the society classes. • We use the Dead Sea natural ingredients (mineral salts, mud, and spring water). • We use recyclable packing (only where the recycling processes dose not hurt the environment). • We use natural aroma-therapy essential oils and herbal extracts obtained from bio-organic agricultural plants, to produce a powerful new force in cosmetic formulations. • We do not use animal ingredients. • We share our thoughts with our business partners to bring the wonderful added benefit of the Dead Sea minerals to the hands of our consumers throughout our diversified range of products. For Centuries, the ancient secret minerals of the Dead Sea have been known to have mysterious healing and beautifying powers! Going back thousands of years ago in the ancient Egyptian times, Cleopatra, in fact, build her own spas to use them for bathing in salt and masking her body in mud to relax and to stay beautiful and youthful-looking for so long. Due to the extensive use of the Dead Sea minerals, Cleopatra, indeed, achieved maximum beauty, which allowed her to stay naturally beautiful at the highest level possible. Today , the Dead Sea has taken on a new dimension. Modern scientists, dermatologists, naturists and experts from around the world, have discovered and proven the important meanings of the Dead Sea minerals, for its unique therapeutic and rejuvenating properties. • These minerals have been known as a source of treatment and nourishment for the body and soul. It provides help for many common muscular aches and pains while moisturizing and conditioning for a radiant and silky-smooth skin. • It has a high ability to restore normal skin moisture, tones and brightens, while improving the skins natural PH balance. Dead Sea for the benefit of our customers.